Hint: pay attention to guidelines, additional code notes. Before the 1990s, the incidence of type 2 diabetes in children and adolescents was rare, and the most common type of diabetes seen in children was type 1. However, due to the rise in childhood obesity, today, “in some regions in the United States, type 2 diabetes mellitus is as frequent as type 1 diabetes mellitus in adolescents” according to author Thomas Reinehr (source: www.ncbi.nlm.nih.gov/pmc/articles/PMC3874486/). For peds coders, this now means being acutely aware of the difficulties inherent in coding both conditions. But the following three tips should help guide you through the diabetes coding maze. As a peds coder, you know that the two most common forms of the condition you encounter are E10 (Type 1 diabetes mellitus) and E11 (Type 2 diabetes mellitus). But you may not be as familiar with two significant ICD-10 guidelines that can affect use of these codes in a pediatric setting. First, guideline 4.a.1. 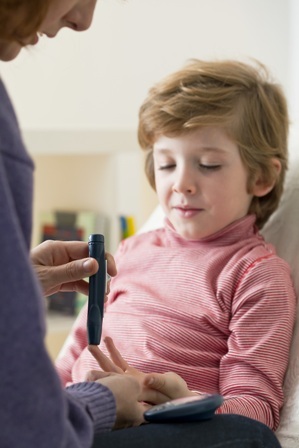 states that “the age of a patient is not the sole determining factor, though most type 1 diabetics develop the condition before reaching puberty.” This is important for you to keep in mind, as diabetes type is so often associated with a patient’s age. Type 1, for example, “typically manifests between age 4 yr and 6 yr and between 10 yr and 14 yr,” while “type 2 typically manifests after puberty, with the highest rate between age 15 yr and 19 yr,” according to author Andrew Calabria (source: merckmanuals.com/professional/pediatrics/endocrine-disorders-in-children/diabetes-in-children-and-adolescents). So, you should avoid any correlations between the patient’s age and a specific type, especially with the rise in type 2 cases in adolescent patients. Second, guideline 4.a.2 notes that E11 is the default documentation “if the type of diabetes mellitus is not documented.” But this can be a dangerous rule to follow unquestioningly, and your documentation needs to be far more specific. “If your patients have type 1 diabetes, for example, their care will be much more complex, and this will not be supported if the diagnosis doesn’t match the treatment,” Marcella Bucknam, CPC, CCS-P, COC, CCS, CPC-P, CPC-I, CCC, COBGC, manager of clinical compliance with PeaceHealth in Vancouver, Washington reminds coders. “What’s more, if your diagnosis doesn’t match the treatments provided, the treatments may not be paid,” Bucknam adds. Consequently, you should work with your provider to ensure the diagnosis is documented as specifically as possible. While pediatric diabetes coding doesn’t differ from adult coding for the condition, one major area that is especially concerning for pediatric coding is the patient’s control of the disease. That’s because children and adolescents are not always as aware, compliant, and disciplined as adults to make to the lifestyle changes needed to keep the condition in check. This means that your provider may document that the condition is “controlled” or “uncontrolled,” which can present a problem when it comes time for you to choose the correct ICD-10 code, as there are no codes to reflect either of the two states. Instead, you will need to look at documentation that shows the patient has hypoglycemia (blood sugar levels below 70 mg/dl) or hyperglycemia (blood sugar levels above 130 mg/dl). This will lead you to code EXX.64X in the case of hypoglycemia and EXX.65 for hyperglycemia if the condition is not controlled. EXX.9, on the other hand, contains the descriptor “without complications” to indicate control. However, use of the fourth character, 9, will be rare, “given that most people with diabetes have either suboptimal control, complications, or both,” according to authors Joy Dugan and Jay Shubrook (source: clinical.diabetesjournals.org/content/diaclin/early/2017/08/10/cd16-0052.full.pdf). Because their etiologies differ, type 1 and type 2 diabetes require different kinds of medication for their treatment. In type 1, the pancreas produces no insulin at all, whereas in type 2, the pancreas either cannot produce enough insulin or the body resists whatever insulin the pancreas produces. But this may or may not be the way your provider chooses to manage a type 2 patient, which is why the additional code note for E11 tells you to code long-term use of oral antidiabetic or hypoglycemic drugs with Z79.84 (Long term (current) use of oral hypoglycemic drugs) in addition to insulin when applicable.